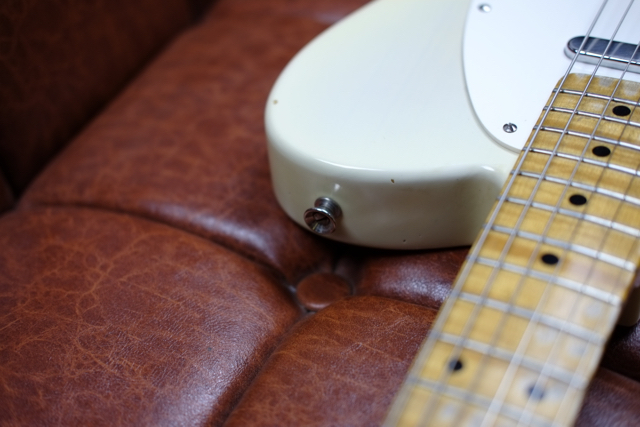 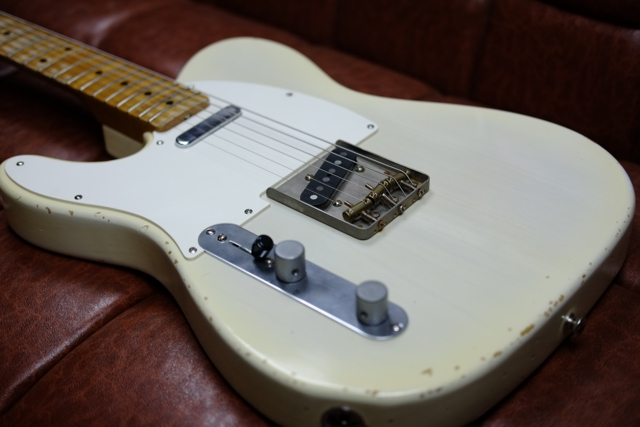 It is equipped with a RetroTone pickup designed for this machine and is an all-nitrocellulose lacquer finish lefty telecaster. 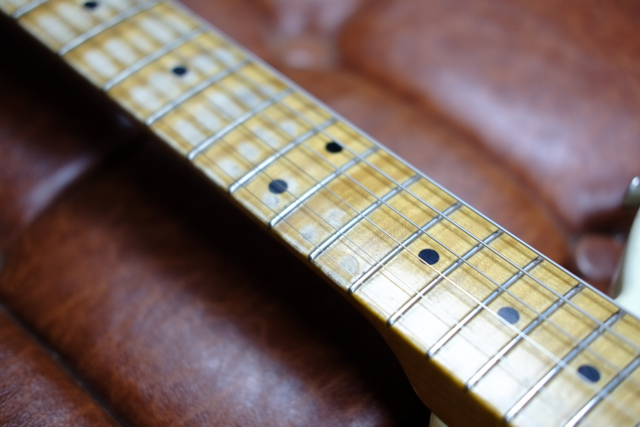 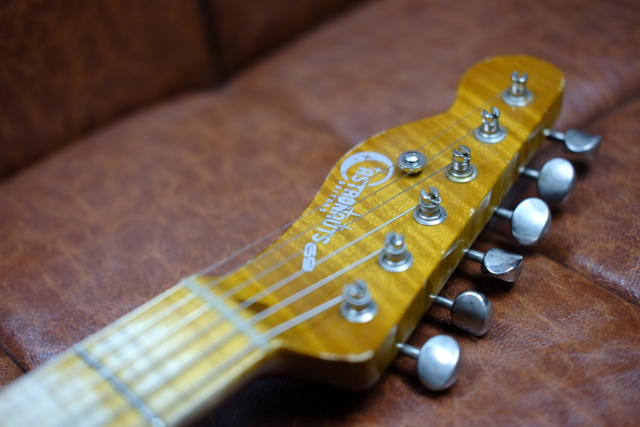 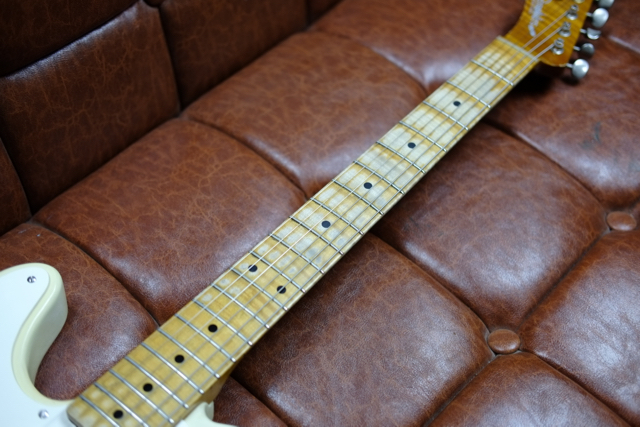 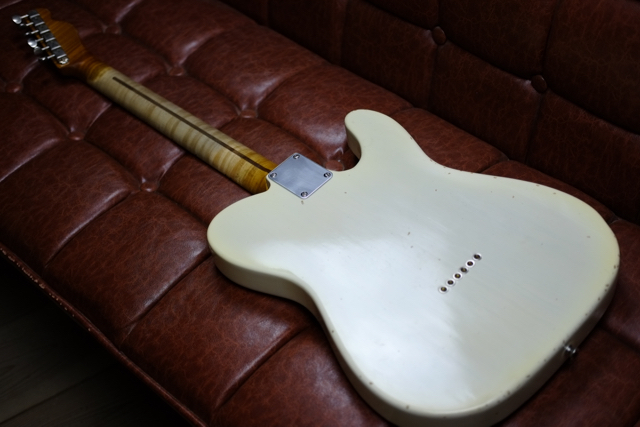 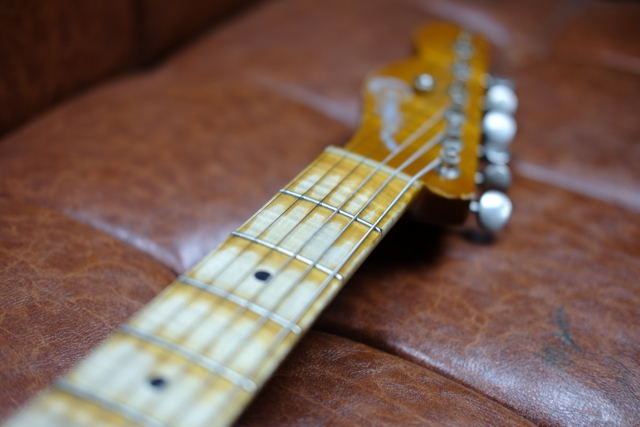 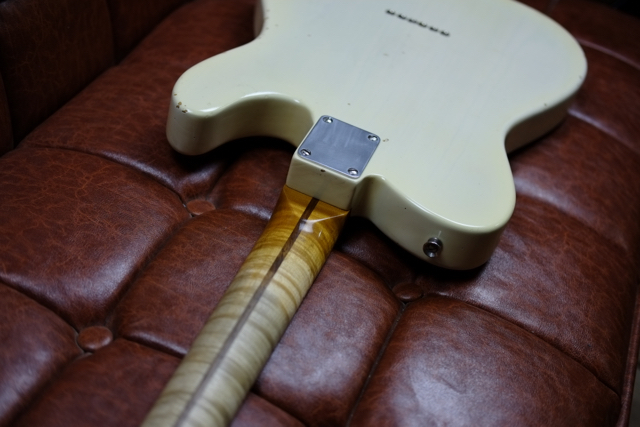 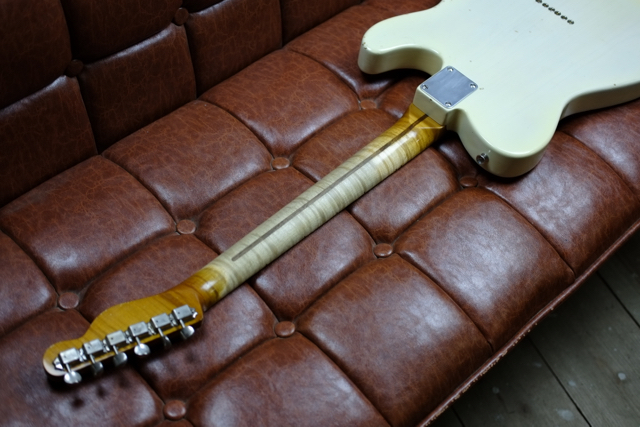 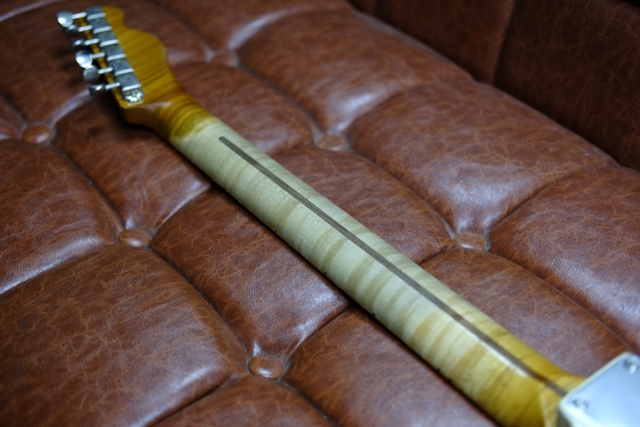 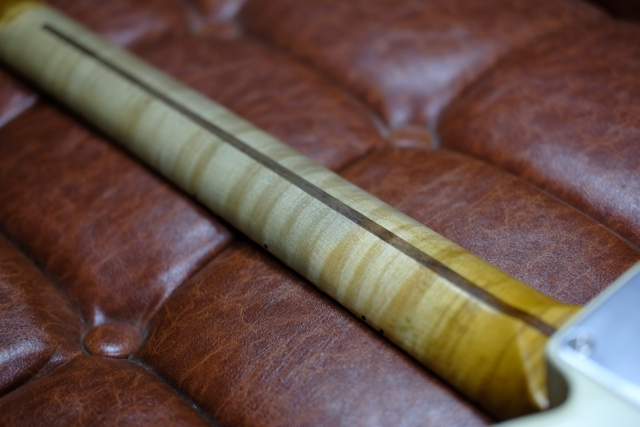 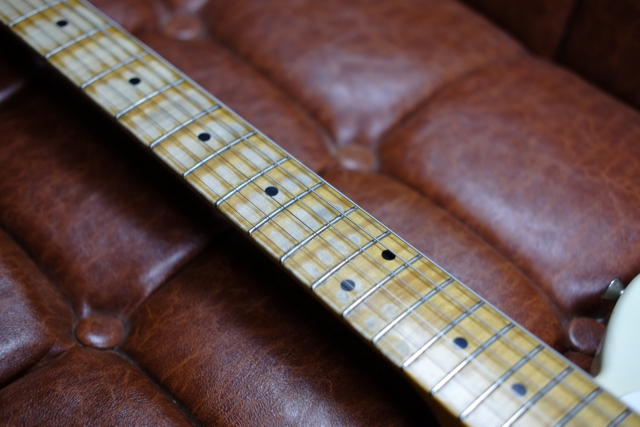 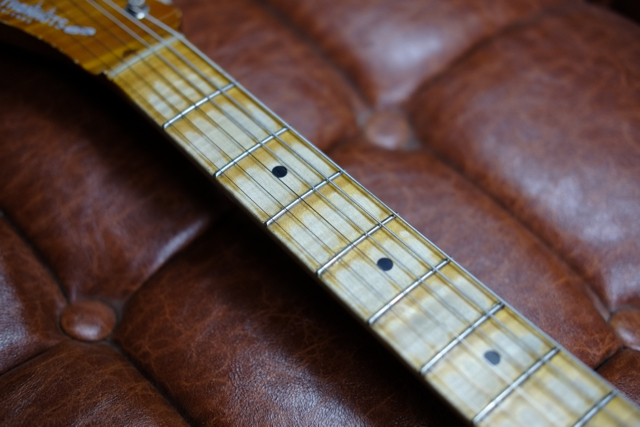 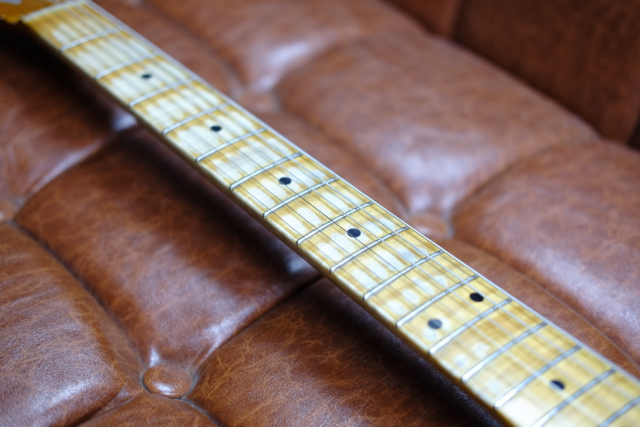 Using swamp ash for body material and flame maple for neck, we realize sound with core like telecaster. 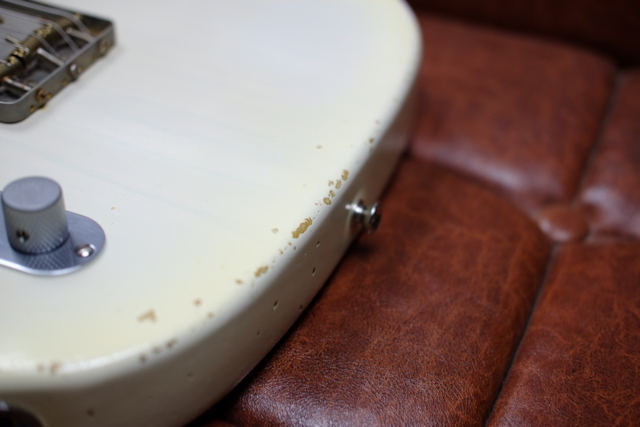 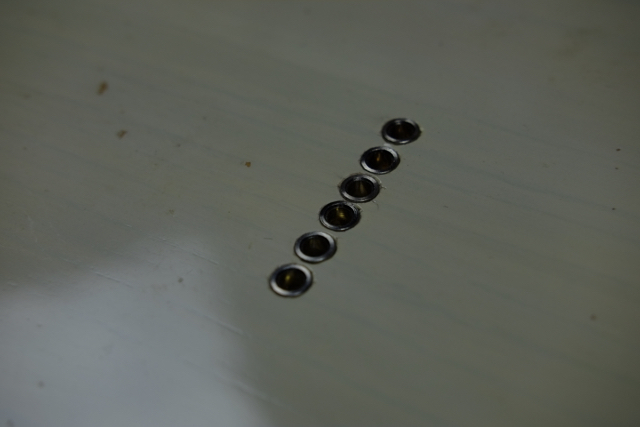 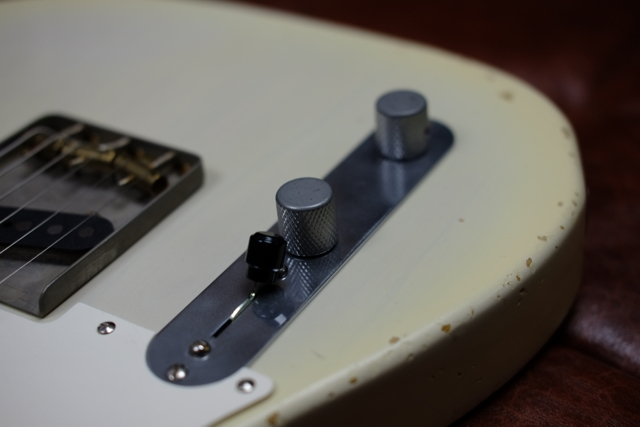 The relic process is applied to ultrathin paint, finished in a single presence with a simple specification. 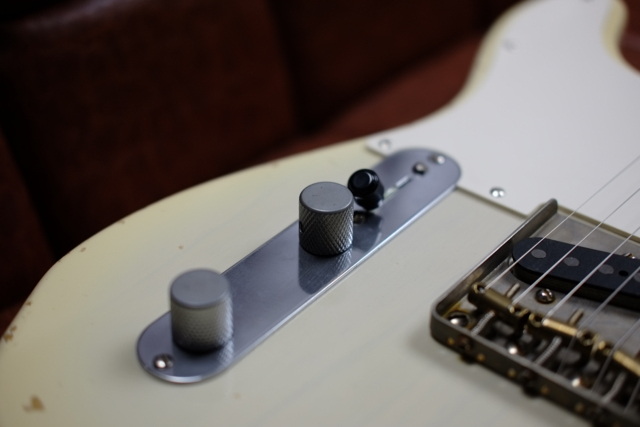 It adopts CTS for pot, CRL for selector, switchcraft for jack, Treble bleed customization is done for volume, there is no strike in electric system. 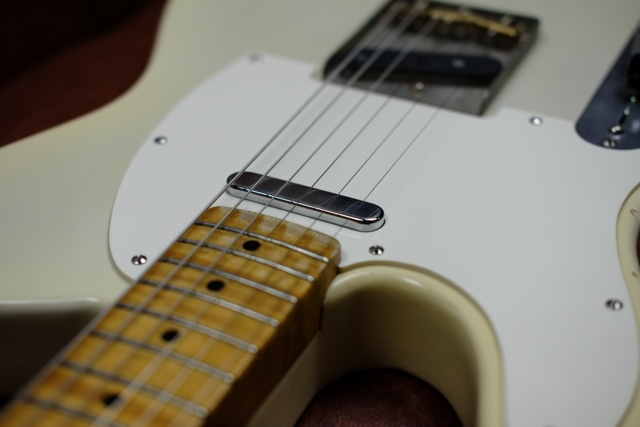 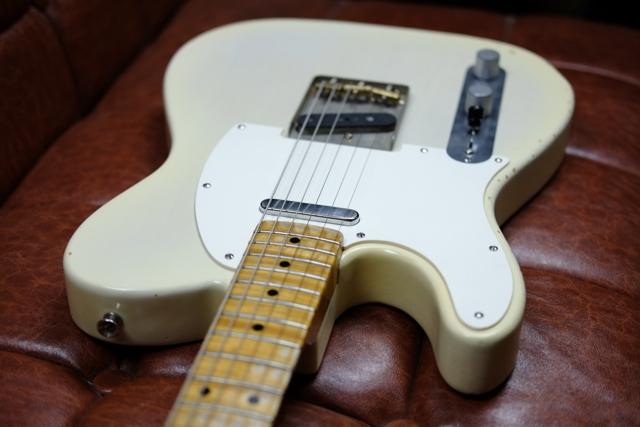 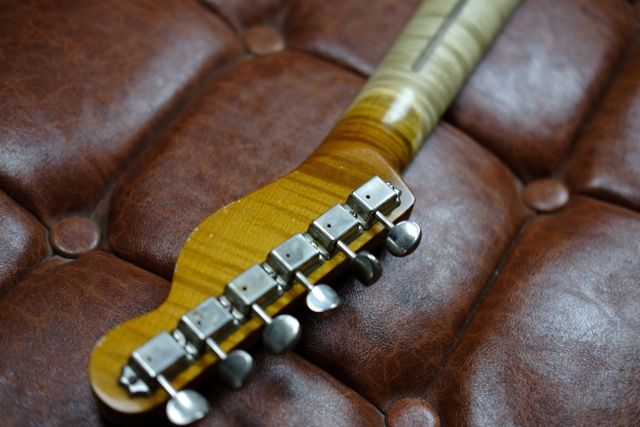 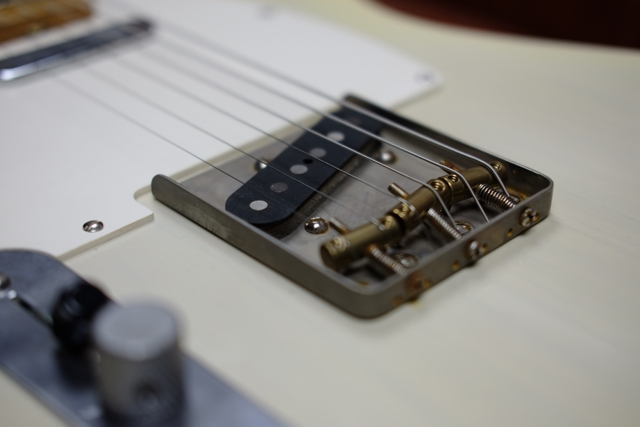 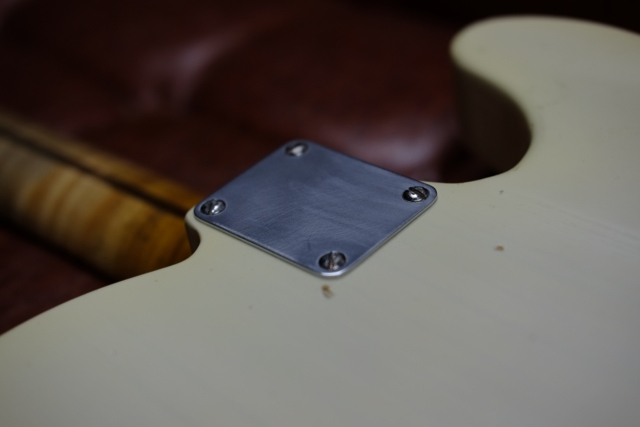 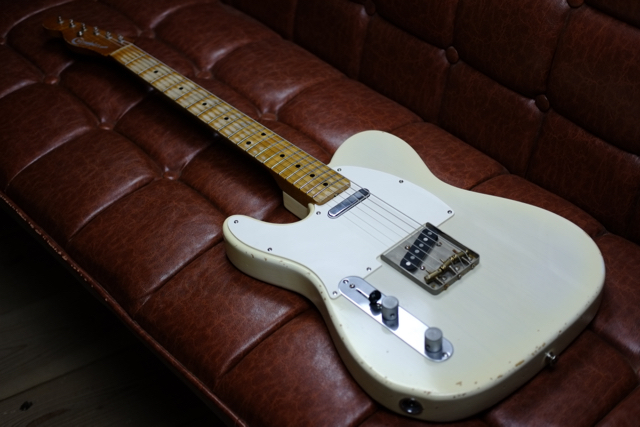 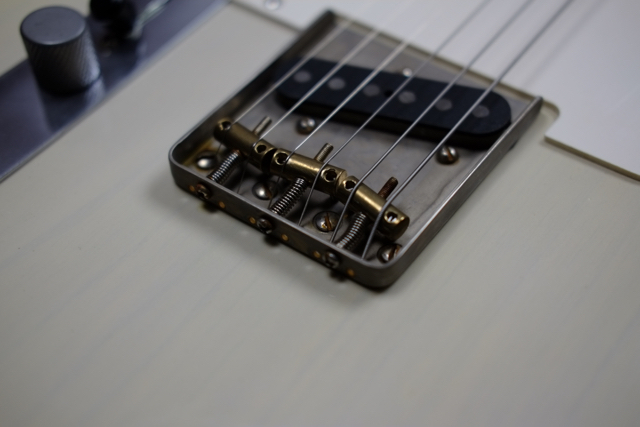 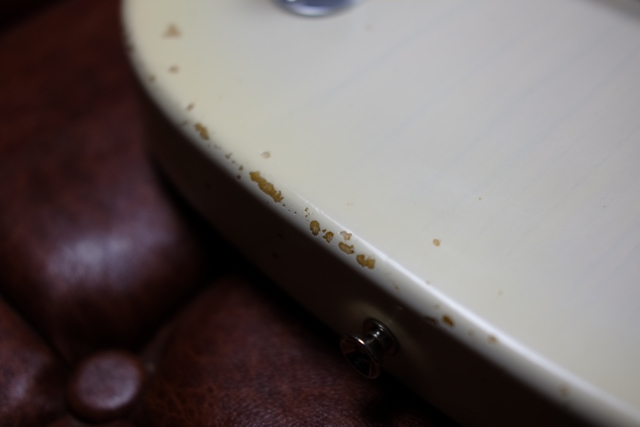 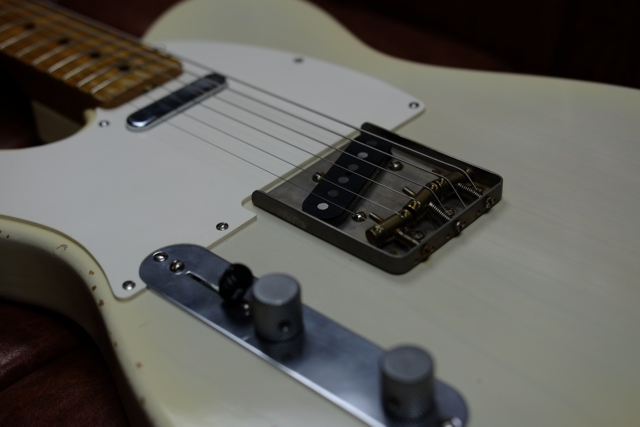 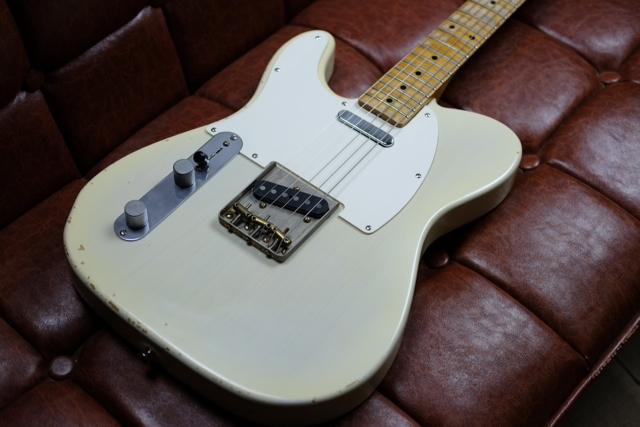 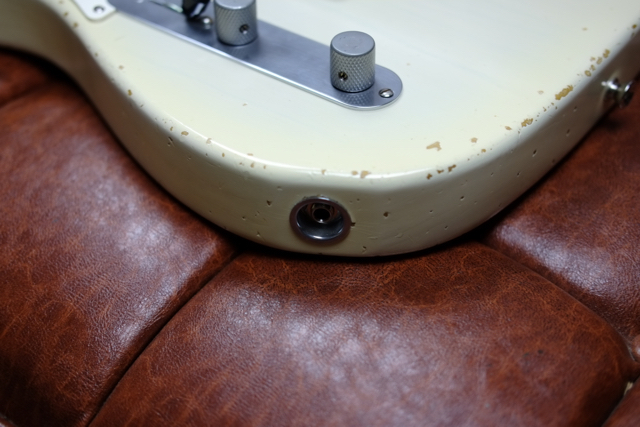 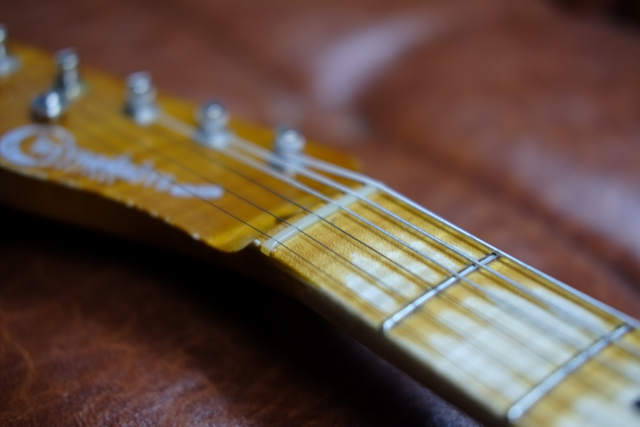 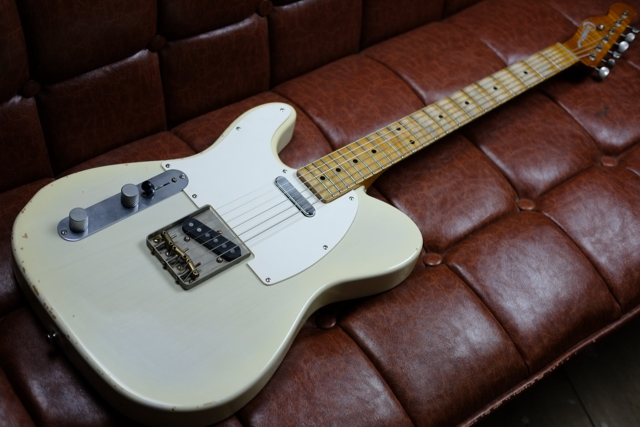 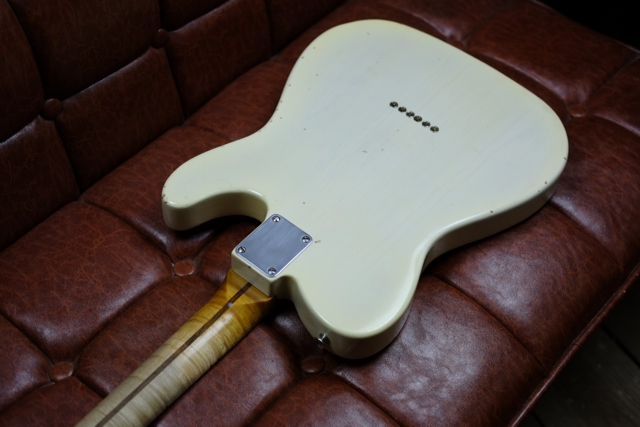 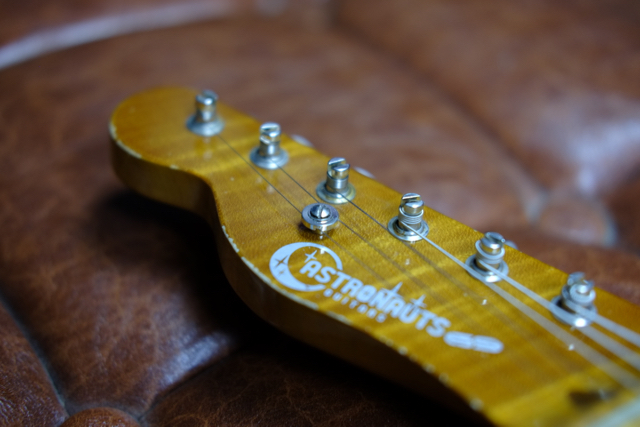 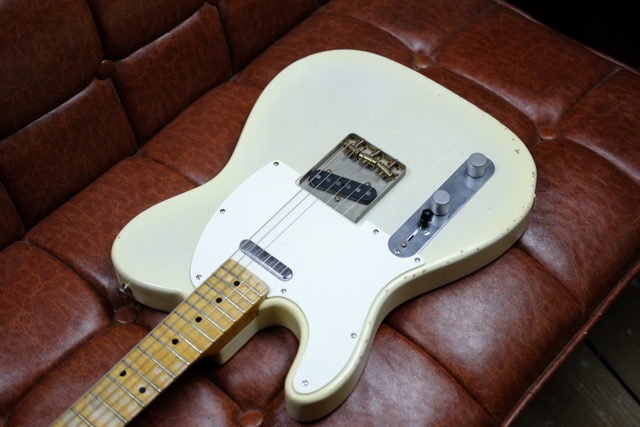 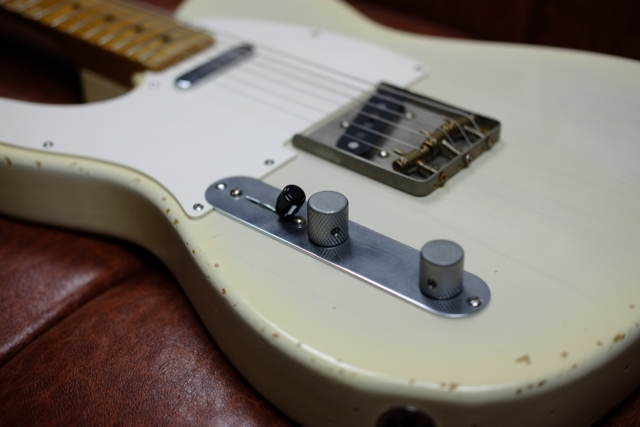 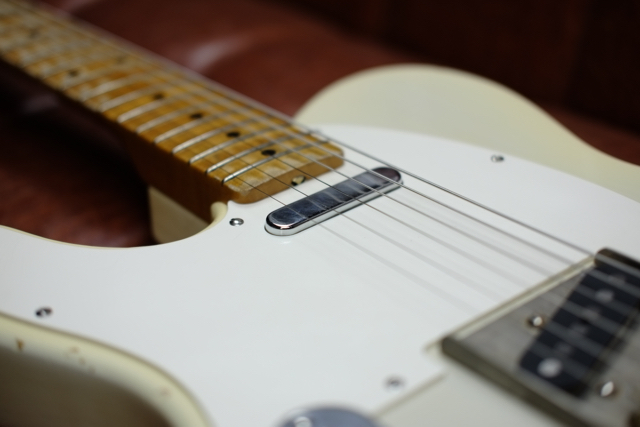 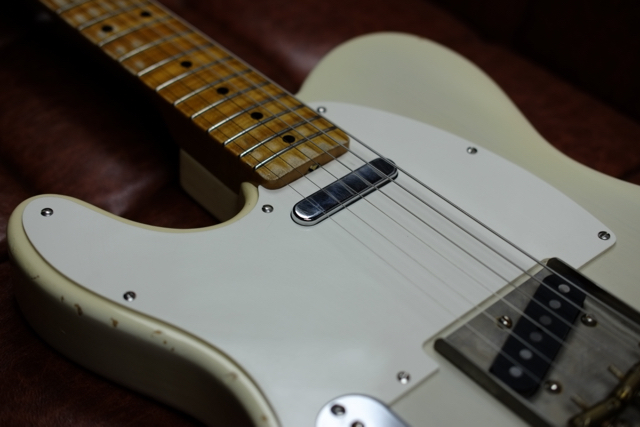 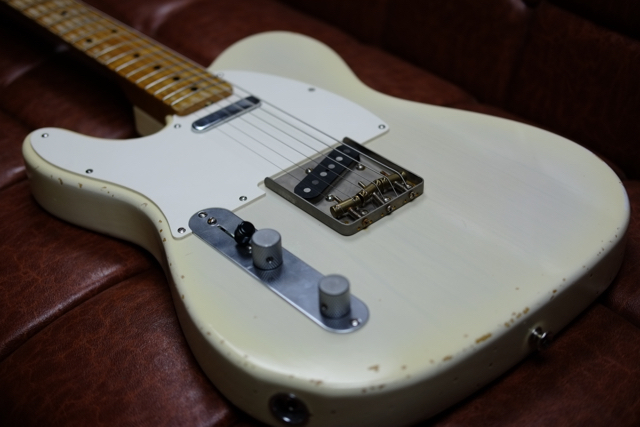 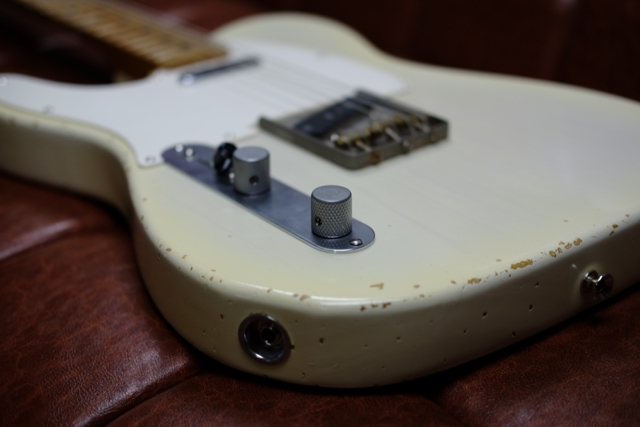 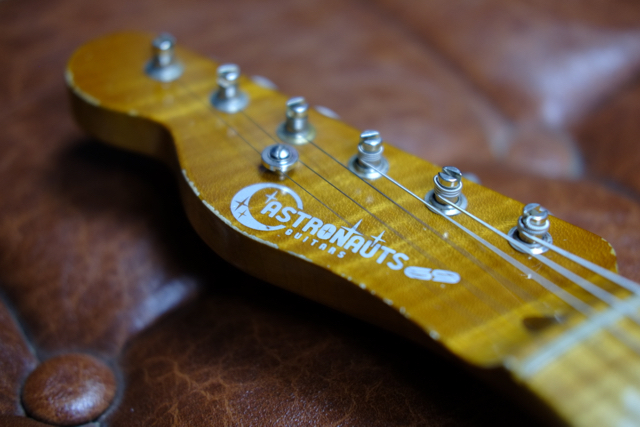 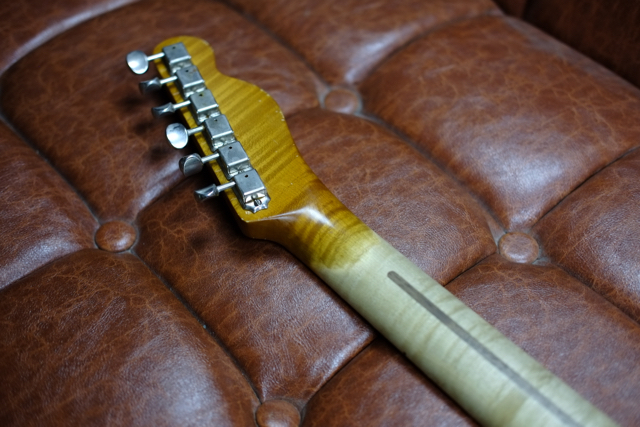 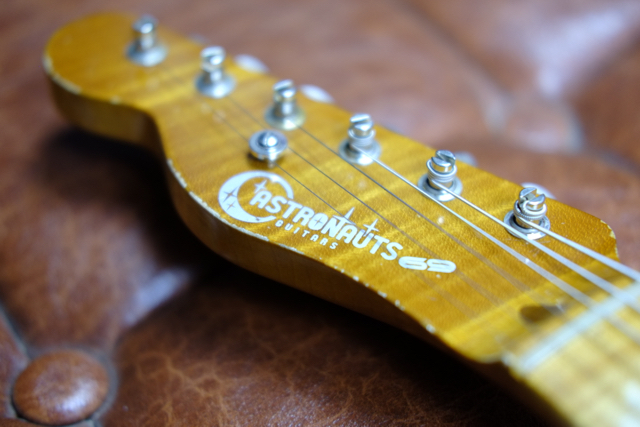 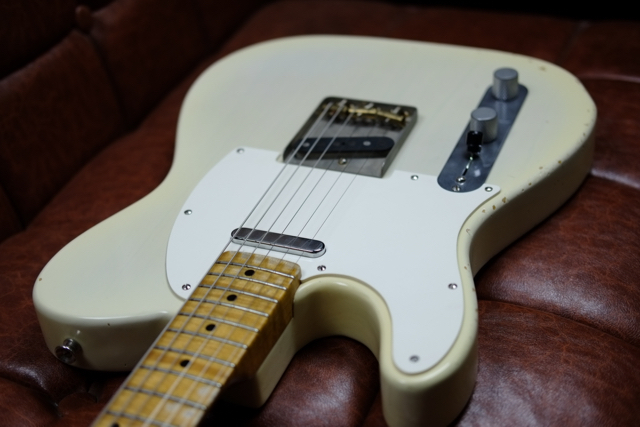 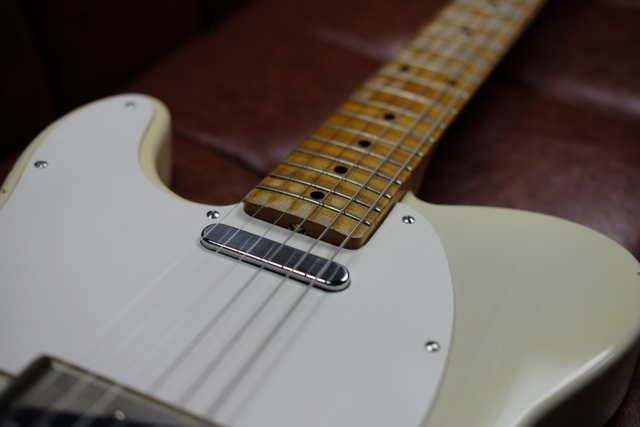 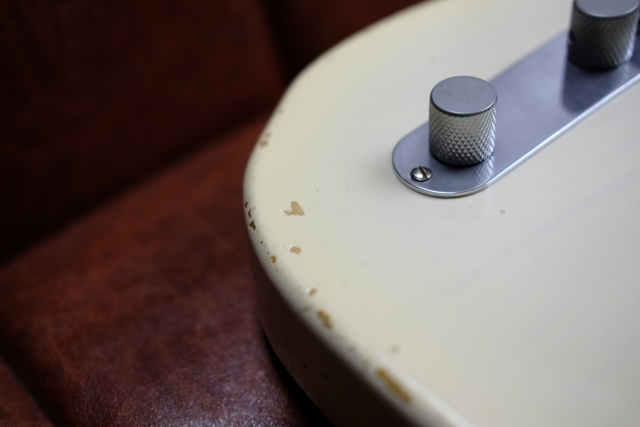 On the other hand, while approaching a more classic telecaster sound such as adopting Gotoh’s Montreux The Clone Tuning Machines for 57 SC 9216 with a post made of brass on a peg, the bridge saddle has tuning accuracy Has adopted a high slant saddle, such as adopt ingenuity at the worksite, finished in a state that you can be active in the studio and stage from that day you got it.